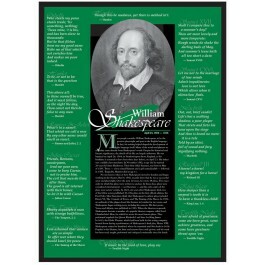 A portrait of Shakespeare appears over a brief biography and surrounded by quotes from some of his major works. 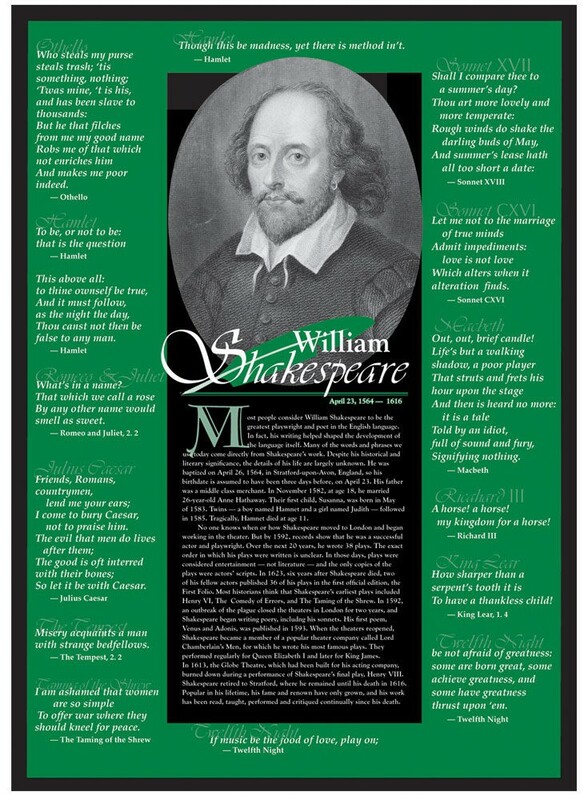 Works cited include Hamlet ("There are more things in heaven and earth, Horatio, / Than are dreamt of in your philosophy"), The Tempest ("We are such stuff / As dreams are made on "), and A Midsummer Night's Dream ("Lord, what fools these mortals be"). Printed on heavy, coated stock.